Price: $99.00 (regularly $119.00) 17% Off! Only in Las Vegas can you step back in time and experience the world from your “front row” seat in the sky. 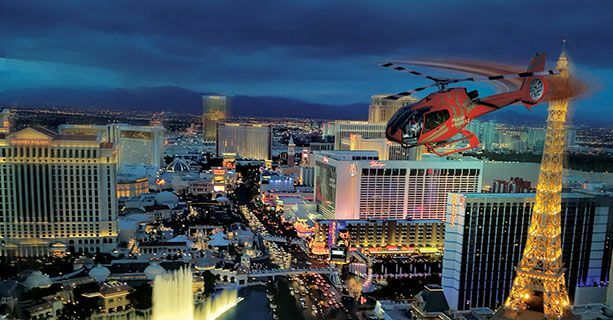 Board Papillon’s state of the art EcoStar helicopter and fly over legendary landmarks such as the New York-New York skyline, the fountains of Bellagio, the Eiffel Tower of Paris and the Clock Tower in St. Marks Square of the Venetian. Soar over the Roman Empire of Caesars and the space beam of the Pyramid of Luxor. 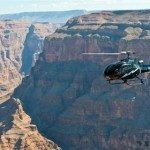 Your trip is not complete without seeing the towering Stratosphere rising more than 1,000 feet into the air and Downtown’s “Glitter Gulch,” where Las Vegas began.